Varun Tej, the latest young star from the Mega family, is all geared up for the shooting of his upcoming film in Krish’s direction. Titled ‘Kanche’, the film was launched last week and the regular shooting will commence soon. 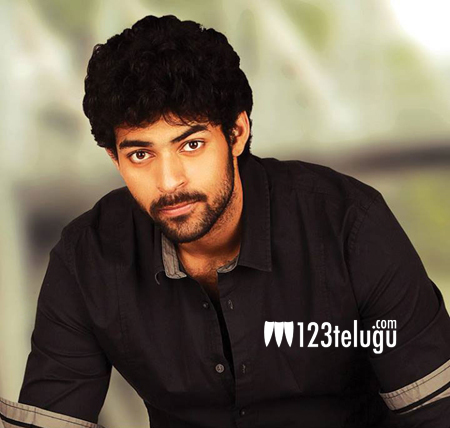 Speaking to a popular English news daily, Varun Tej revealed several interesting facts about his family and career. The handsome young lad said that his dad and senior actor, Naga Babu always wanted him to become a film director. However, Varun said that he was always dreaming to become a star just like his uncles Chiranjeevi and Pawan Kalyan and would even pin up their posters in his room for inspiration. Varun also said that he is quite close to Sai Dharm Tej in the Mega family and that he takes suggestions from Ram Charan and Allu Arjun regarding his films.